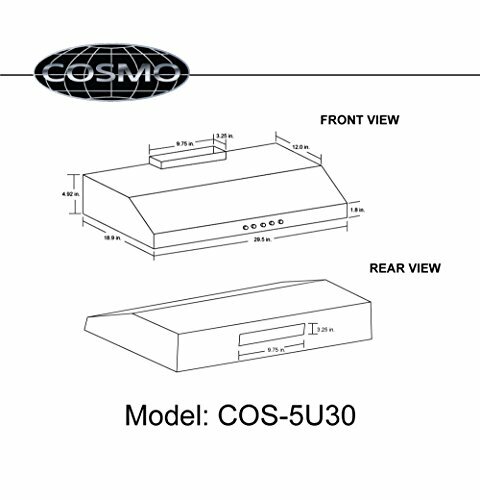 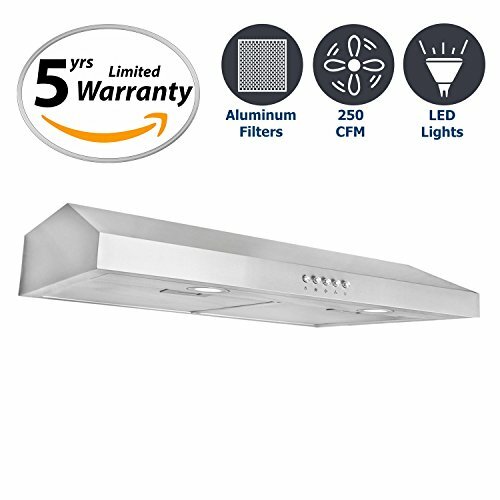 Product prices and availability are accurate as of 2019-04-24 22:36:23 EDT and are subject to change. Any price and availability information displayed on http://www.amazon.com/ at the time of purchase will apply to the purchase of this product. 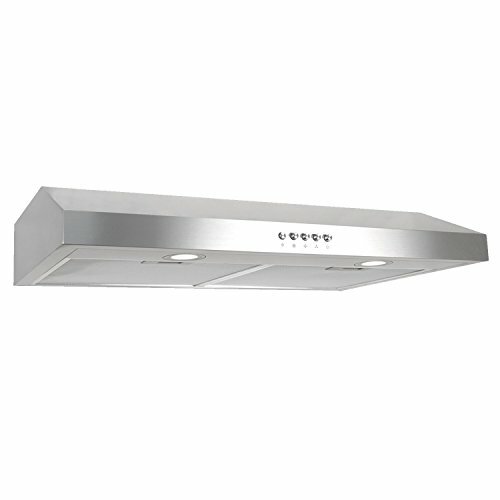 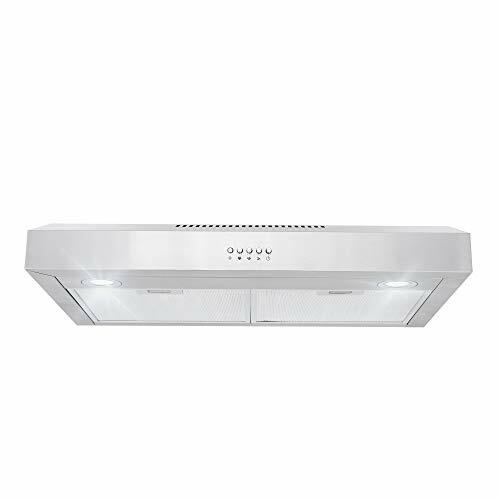 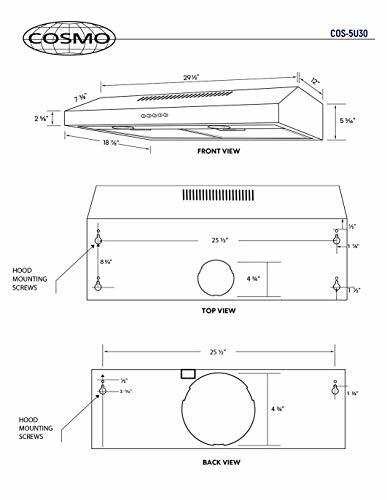 Ducted Under Cabinet Mount Range Hood 250 CFM, 3 speed motor provides quiet 60 dB Noise Level. 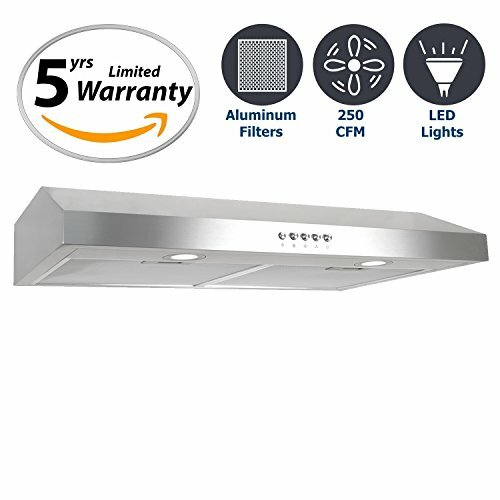 Long lasting aluminum filters, Vent: Top or Back (Optional) Push Button Controls, LED Lighting, Hardwired Sold by Premium Appliances with 5 Year Limited Warranty.